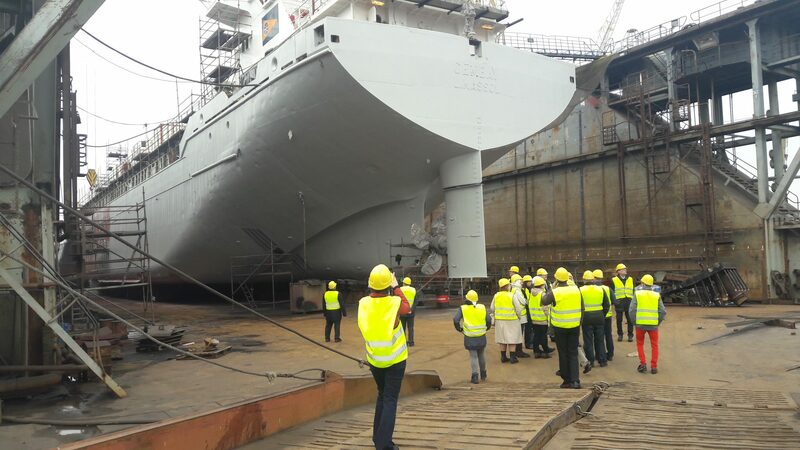 Lithuania and Latvia encounter a shortage of qualified specialists in the field of electrical engineering and high voltage technologies in maritime and shore industries due to changes in technologies and legislation. Common challenge will be jointly tackled by consortium of 5 educational institutions: LAJM, KTK (LT), LJK, RTUVF, VT (LV) providing most efficient resources: experience in education and training of specialists in mentioned field, knowledge of professional requirements, academic experience, etc. 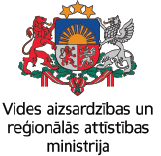 – in order to increase mobility and employability of Lithuanian and Latvian specialists in mentioned field. The main project outputs are: 6 objects of education and training equipment installed in project partners’ institutions for the joint usage; upgraded qualification of at least 106 working specialists in joint activities, such as interexchange of experience, fieldtrips and internship, pilot training, meetings, etc. Students and teachers of project partners’ institutions, employees and employers from maritime and shore industries will be able to use jointly developed in the project 13 programmes of study subjects for students, 2 qualification upgrading programmes for adults, methodical materials of 14 titles in 3 languages. This project can be considered by international community as a good example of joint efforts to solve cross-border challenge. Project objective: to increase job opportunities by improving mobility and workforce skills of Lithuanian and Latvian specialists in the field of electrical engineering and high voltage technologies. Target groups: students and teachers of project partners’ institutions, employees and employers from maritime and shore industries. Purchasing and installation of specialised education and training equipment in each partnering institution (6 sets of equipment). Upgrade/development of programmes of study subjects for students (13 programmes) and qualification upgrading programmes for working specialists (2 programmes). Preparation of methodical materials of 14 titles in 3 languages. Cross-border and international experience exchange: Events of joint interexchange of experience; Internship of joint team of teachers; Joint pilot training events. 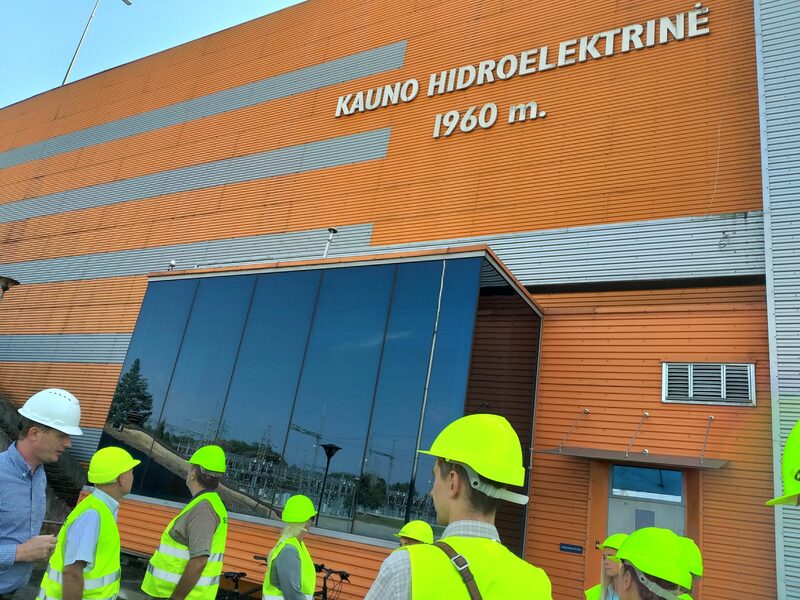 On the 21st of September 2018, Kaunas Technical College, organized the Event of joint interexchange of experience – Field trip to social partners’ enterprise The Kaunas Algirdas Brazauskas’ Hydroelectric Power Plant in the frame of the LLI-24 – LitLatHV project “Enhancement of the mobility and employability of Lithuanian and Latvian specialists in the field of electrical engineering and high voltage technologies”. 17 representatives of 5 partnering institutions from Lithuania and Latvia had the opportunity to visit the largest power plant in Lithuania using renewable resources. The representative of Kaunas Algirdas Brazauskas’ Hydroelectric Power Plant introduced with the electricity production process using water. It was a great chance to take a look at Hydroelectric Power Plant, one of the ways in which electricity is produced. 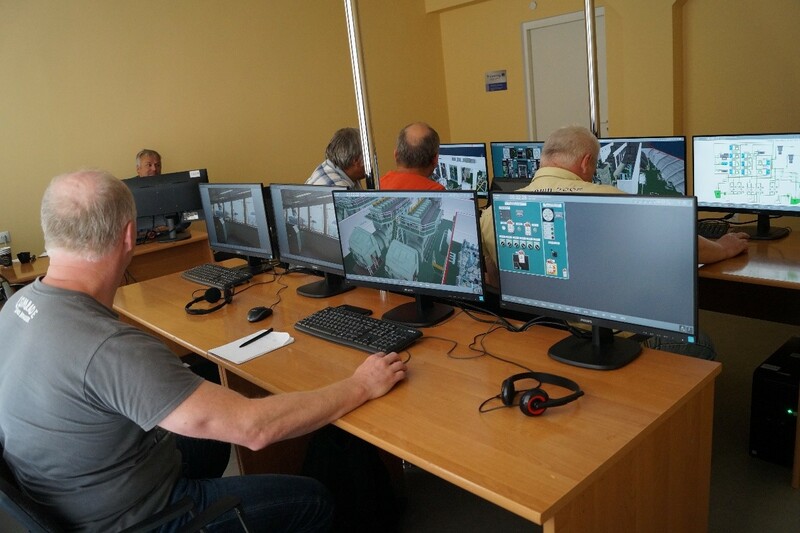 On 18 May 2018, 4 working places (workstations) of the Engine room Diesel-Electric (MAN L51/60DF) LNG Carrier Ship Model simulator were fully installed in Liepaja Marine College. y personnel attended training courses on application and use of the newly installed simulator. Training course participants had the opportunity to acquire theoretical knowledge and practical (hands-on) experience on working with the Engine room simulator. 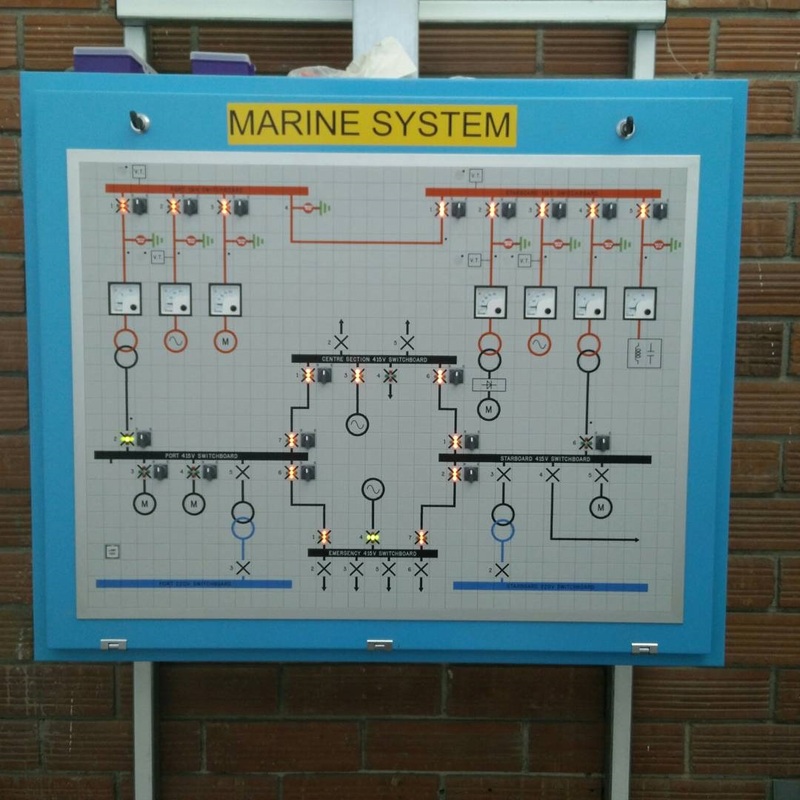 The gained knowledge will be further used to train and assess the competence of ship engineering students and working engine department personnel, including officers in charge of an engineering watch, second and chief engineers and ratings forming part of engineering watch. Engine room simulator allows for contemporary training on such essential topics as engine room equipment familiarization, system layout and flow diagrams, control system and automation, alarm and safety system, watch-keeping and troubleshooting, emission control and fuel economy management, energy management, emergency operations and vessel resource management. On the 31th of January 2018, Liepaja Marine College organized the Event of joint interexchange of experience – Field trip to social partners’ enterprise SIA “AE Partner” in the frame of the project “Enhancement of the mobility and employability of Lithuanian and Latvian specialists in the field of electrical engineering and high voltage technologies”. 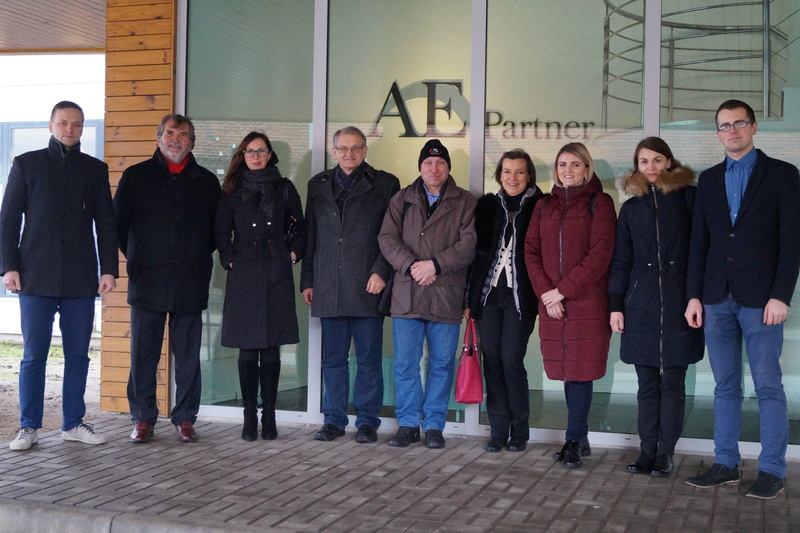 Representatives of 5 partnering institutions from Lithuania and Latvia have had the opportunity to take a look to some manufacturing processes of the design and production of complex automation systems. It was a great chance to take a look to some manufacturing processes were electrical engineering knowledge is needed and later use obtained experience for the project matters. 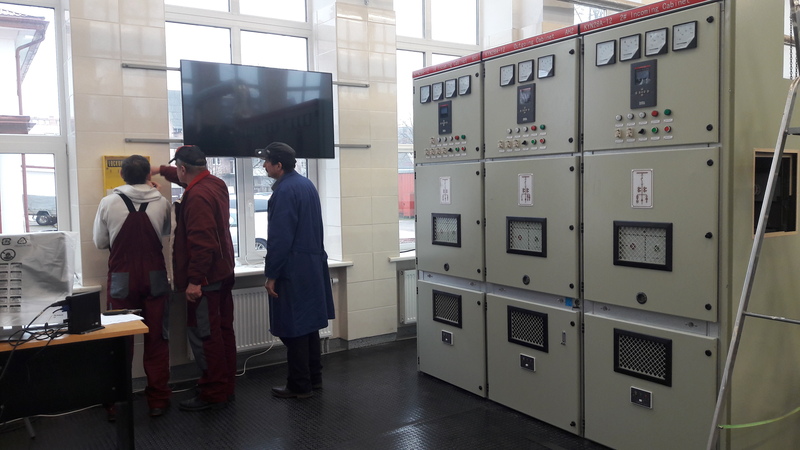 From 30th of November to 6th of December 2017, Lithuanian Maritime Academy organized the event of teachers’ training to work with High Voltage laboratory equipment. Teachers’ have had the opportunity to acquire theoretical and practical knowledge of working with High Voltage laboratory. These knowledge later will be use in studies and practical training for students. 29th of November the high voltage laboratory equipment arrived in the Lithuanian Maritime academy. The installation process of laboratory equipment is in progress. 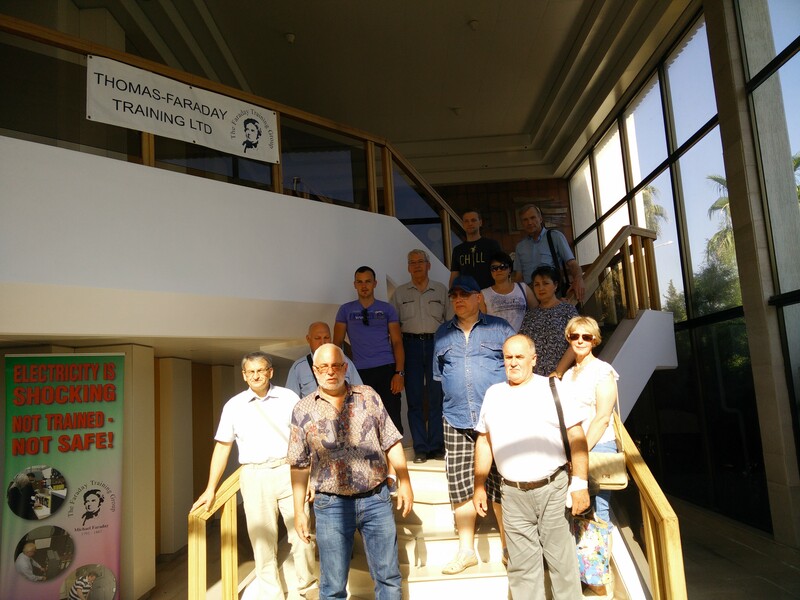 From 3rd to 8th of July 2017, Lithuanian Maritime Academy organized the Event of internship of joint team of teachers (T2.5.2) to Thomas-Faraday training centre in the frame of the project “Enhancement of the mobility and employability of Lithuanian and Latvian specialists in the field of electrical engineering and high voltage technologies”. 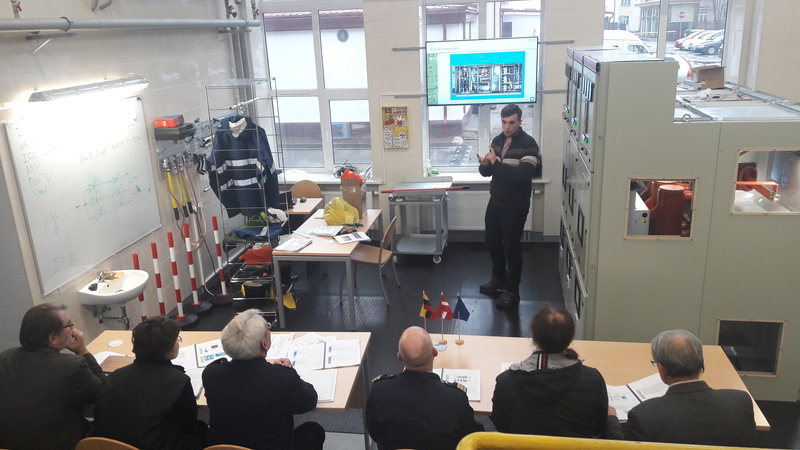 17 representatives of 5 partnering institutions from Lithuania and Latvia have had the opportunity to get to know the latest requirements of the safe operation of high voltage power systems in marine/offshore application and take some practical training in the modern training centre using all relevant recent equipment. All participants have acquired high quality learning and training, which was acknowledged by special certificates. 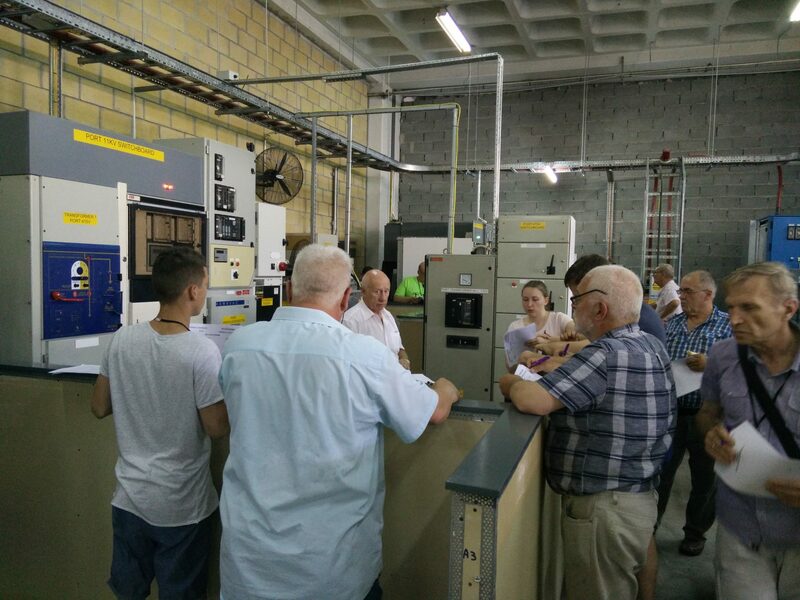 It was a great chance to get the latest industry related experience of high voltage power systems and later use it in their educational institutions for the project matters and for further development of studies and practical training. 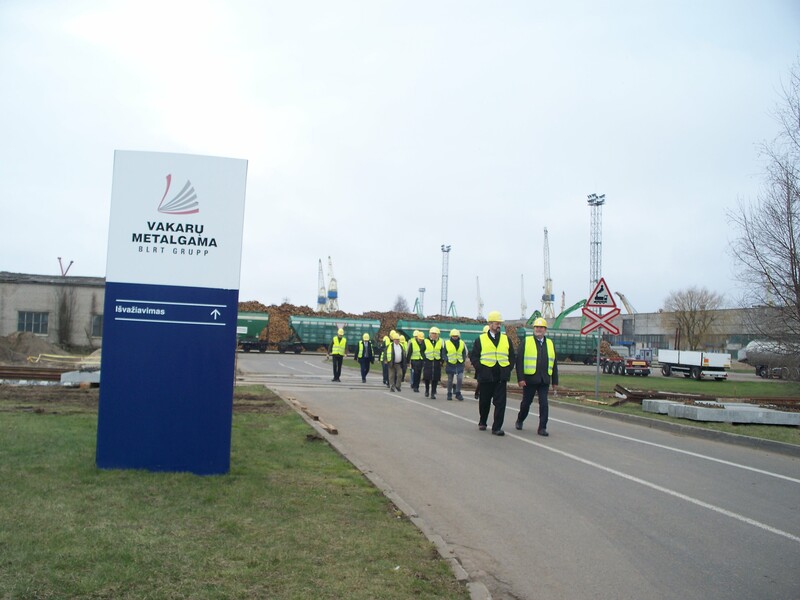 On the 5th of April 2017, Lithuanian Maritime Academy organized the Event of joint interexchange of experience – Field trip to social partners’ enterprise Association of Lithuanian shipbuilder and repairs – The Western shipyard in the frame of the project “Enhancement of the mobility and employability of Lithuanian and Latvian specialists in the field of electrical engineering and high voltage technologies”. 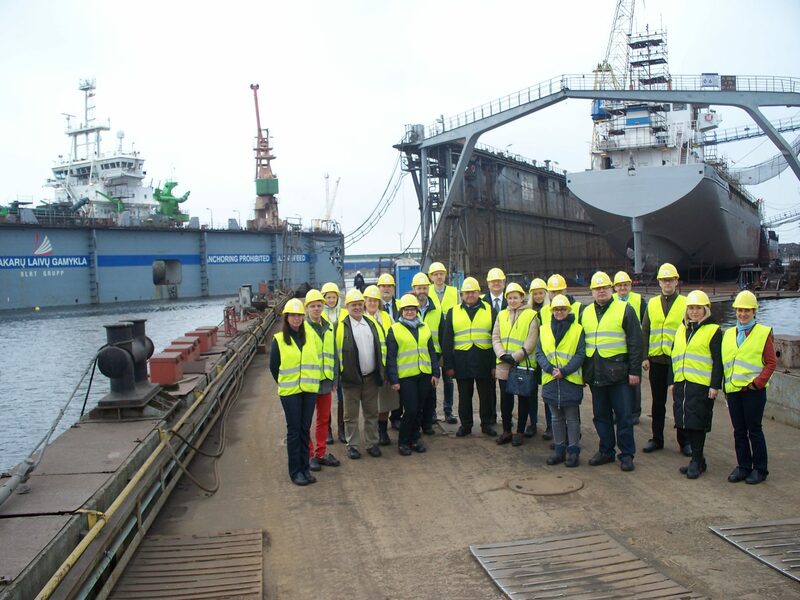 23 representatives of 5 partnering institutions from Lithuania and Latvia have had the opportunity to meet the people from the ship building industry and access The Western Shipyard group‘s main activities in the fields of ship repair, ship building, metal construction production, metal processing, hot galvanization and etc. It was a great chance to take a look to some manufacturing processes were electrical engineering knowledge is needed and later use obtained experience for the project matters. 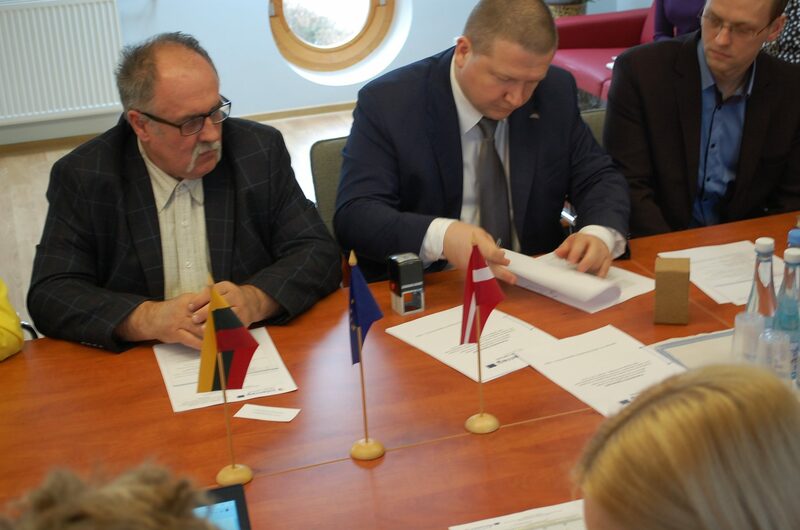 On the 5th of April 2017 Lithuanian Maritime Academy together with partners: Kaunas Technical College (Lithuania), Liepaja Marine College (Latvia), Riga Technical University Ventspils Brach (Latvia) and Ventspils Technical College signed the partnership agreement for implementing project Enhancement of the mobility and employability of Lithuanian and Latvian specialists in the field of electrical engineering and high voltage technologies. Joint pilot training. Courses: “Safety rules for HV equipment on shore side” and “Distribution networks”.